This update is really late, par for the course lately. If we are friends on Facebook or you follow me on Instagram, you already know that Jacey was in the hospital back in November for virtually 4 days. Two consecutive trips to El Paso to go to the ER and then admission after the second visit for 2 days. Let me back up a little, though. Back in March, we had planned to put her on Accutane, because her skin just wasn’t responding well enough to other meds. Accutane requires a full lab work up and the results of those were a little shocking. A healthy, slender 14 year old athlete had pretty high liver enzyme levels. We pulled her off of all meds except her Claritin and ran the labs again, a month later. A few levels had gone down ever so slightly, but the others were the same. At this point, her dermatologist nixed the thought of Accutane and we followed up with her PCM. At this point, her PCM ordered a liver u/s, because there was no clear reason as to why J’s liver enzymes would be so elevated. Her PCM reported back that her liver was “glowing”, much like an older alcoholics would and recommended that we follow up with her new PCM here in New Mexico, immediately upon arrival (nothing like having health issues in the middle of a PCS). 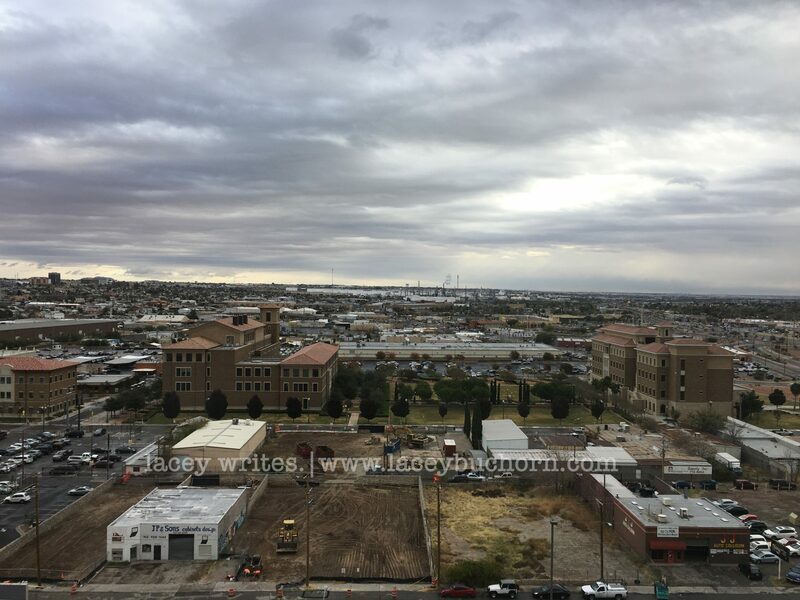 J’s new PCM immediately referred us out to a pediatric GI at Texas Tech in El Paso. He is one of only two in the area, so it took a while for us to get in. The first visit was just a basic check up, lots of questions about history/symptoms (none) and orders for a million plus one lab tests that resulted in 14 vials of blood. The second visit was something. No clear answers, but a pretty solid guess. J’s liver enzymes were still high, some even having tripled and her ceruloplasmin levels were low. This combination lead the GI to think Wilson disease. Scary, huh? Try here or here, as well. Basically, her body is storing copper instead of excreting the excess. Not exactly what a parent wants to hear, but manageable. 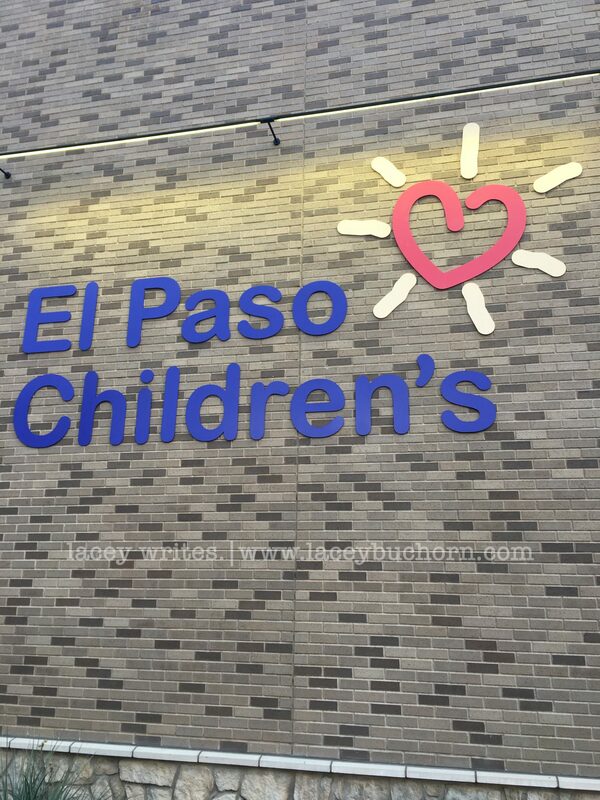 The next step was a liver biopsy that Jacey had at El Paso Children’s Hospital on November 17th. The procedure went well and we got some hilarious blackmail videos of her coming out of anesthesia. I am sure some are appalled, but our family coping mechanism is comedy. If we didn’t have something, we would be miserable at this point after all that life has handed us. Really, though, we were sitting and just watching TV and she started complaining about her upper right abdomen hurting, under her ribs. The pain got worse and we finally decided to call the nurse advice line (linked to our insurance). Because of the location and the fact that she had recently had the biopsy, they recommended we see her doc within 8 hours. Yeah, wasn’t going to happen during a holiday weekend. So, we got approval to take her to El Paso Children’s and off we went. We got there about 4:00-ish and thankfully didn’t have to wait too terribly long before getting triaged back into a room. There, though, we sat. Forever. Eight hours, some painkillers, a GI cocktail and an RX for Mylanta and they sent us home. Admittedly, they said we could be admitted for “pain control” but at that point, we all just wanted to go home. No one was taking us seriously and just thought she has GI distress. We, on the other hand, knew better. J has a very high pain tolerance and there was no way, her pain level was just gas/bloating/cramping/etc. So, we went home. Fast forward a few hours and J comes into our room crying and doubled over in pain. Back to the ER, we go. We got triaged back and this time we were taken a “tad” bit more serious. They still thought it was GI distress, but ran an x-ray anyway. They found a large mass of stool, so bingo, that was their answer. Watch me roll my eyes. They also ran an u/s and CT scan but saw no other abnormalities other than a slightly elevated liver. Of course, this resulted in an enema. My poor kid. Not only did she have to go through that misery, but imagine this, the pain did not slack off. At this point, they finally admitted defeat and decided to admit her for pain control. It took hours to be transferred upstairs, but once we finally were, they at least let her eat. She hadn’t eaten for numerous hours and was starving. They got her all settled in, upped the IV pain meds and got her comfortable. Bryan and I drove home since he had to go to work the next day for a flight and I grabbed a quick shower, clothes, and snacks and headed back to El Paso. Once I got back, they updated me on the plan or calling in the on-call pediatric GI in the AM (Jacey’s was out of the country for a death in the family) and go from there. Monday, the rounds started early. We had probably 10 residents come in before 0800 and then the pediatric GI came in a bit later. He was leaning towards the gallbladder, but also didn’t want to rule out her liver, so he ordered a HIDA scan to check them out. 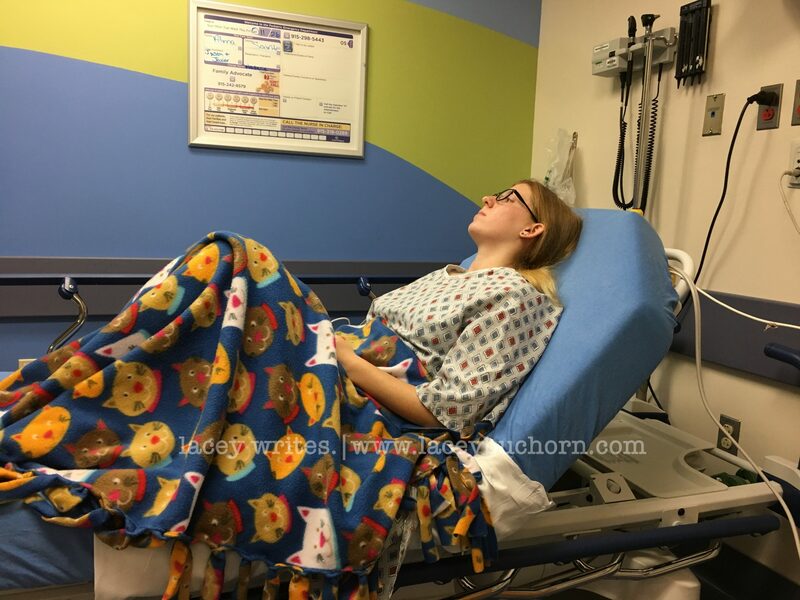 The HIDA scan didn’t happen until the afternoon and the preliminary results showed no gallstones, but that her gallbladder was not functioning properly. After seeing the pediatric GI again, a pediatric surgeon came in. What? He was talking about what they normally do in situations like this (remove the gallbladder), but that he wasn’t ready to go that route yet. Instead, he ordered an MRCP test for the next day. Thankfully, Bryan came back to El Paso after his flight, so he got to participate in the convos with most of the doctors. Another restless night in the hospital. Tuesday, was another day of early rounds and lots of waiting. Thankfully, this girl is a trooper and stayed in pretty good spirits. 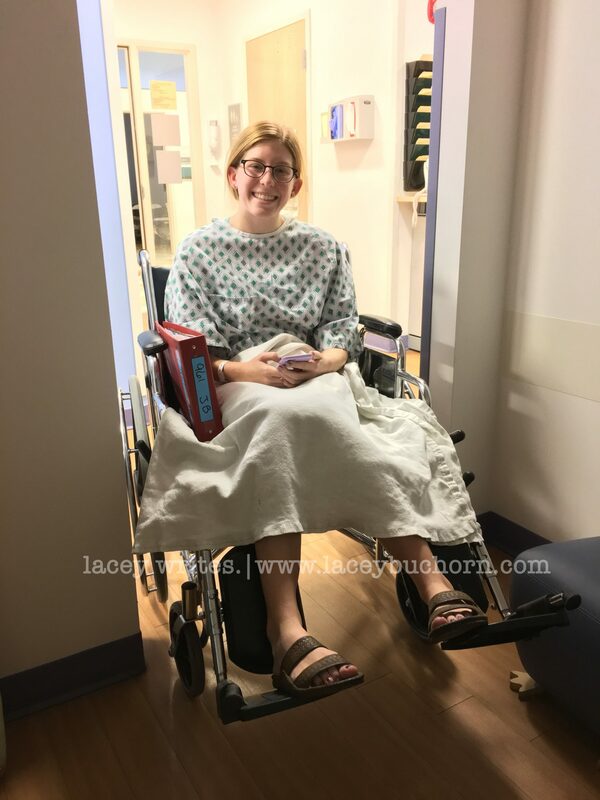 Jacey’s MRCP got delayed twice due to other cases, but that ended up working out since Bryan made it to the hospital before she went back. Later that evening, the pediatric surgeon brought us the results and a plan. 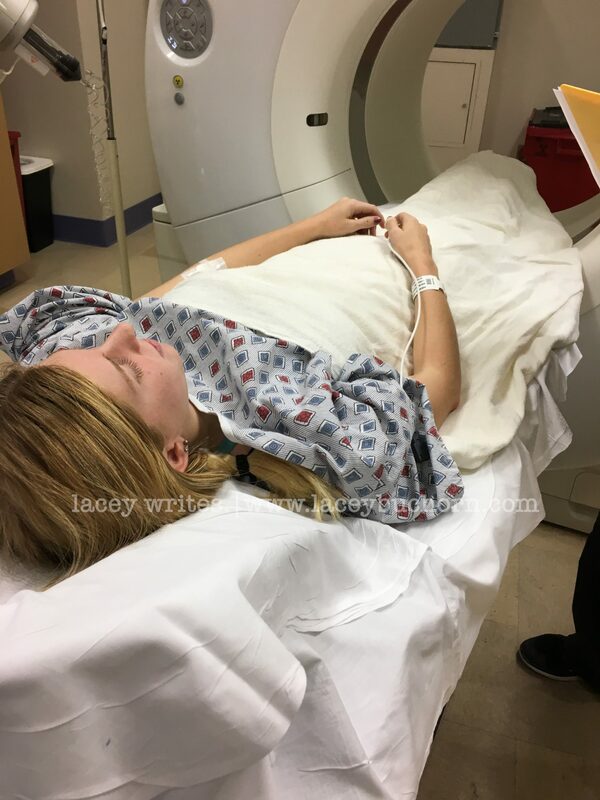 Jacey was officially diagnosed with biliary dyskinesia or acalculous cholecystopathy. Basically, she doesn’t have gallstones but her gallbladder is working at 0%. Yes, you read that right, 0. The surgeon doesn’t like to jump into surgery for this because oftentimes it doesn’t get rid of the pain. After hearing his reasoning, I definitely agree. What is the point of going through the pain of surgery if the original pain is still present? For the time being, until we get her liver figured out, we are just aiming for pain management. Once we get a clear plan for her liver, we go back to see him and he will access further at that time. He signed the discharge papers and we finally got to go home. Since then, life has been crazy as usual. The liver biopsy results came back confirming the docs initial guess of probable Wilson disease, so we moved on to one last test, the ATP7B gene sequencing before treatment. The gene sequencing is more of a formality than a diagnostic tool in J’s case. We are still waiting on those results. Bryan and I also had the gene sequencing test ran, since we would both have to be carriers for Jacey to have it. We will also be making a trek to San Antonio in the near future for genetic counseling. Fun times. She also had a visit to the ophthalmologist that thankfully did not show any copper deposits on her eyes at this point. As for the pain that caused the ER trip, it has been manageable. Our PCM gave her tramadol, but she hasn’t had to take any thus far, Motrin has been helping when needed. The pain has been sporadic and thankfully at a way lower level than originally. I’m not sure what the final game plan will be for her gallbladder yet, we shall see. In the meantime, we just wait on the gene sequencing test to come back and if it confirms what everything else has said, we move forward with a treatment plan that should include medication and diet alterations. Can you tell me what foods are highest in copper off the top of your head? Yeah, I couldn’t either. It is amazing what you learn with necessity. [updated 02.02.17] On January 23, 2017, we got notice, that Jacey’s gene test came back and it showed two mutations. As of January 20, 2017, she was officially diagnosed with Wilson Disease. We met with her GI on January 27, 2017, and learned specifics on what the future holds. RX Syprine until her copper levels are within normal ranges and then super high doses of zinc for her lifetime. Monthly labs for a long time and then they can be spaced a little more. All the while, keeping with the low copper diet that excludes almost every one of her favorite foods. Sigh. I’m so sorry you guys are going through all this! I hope you get some good answers, and that J finds some relief.